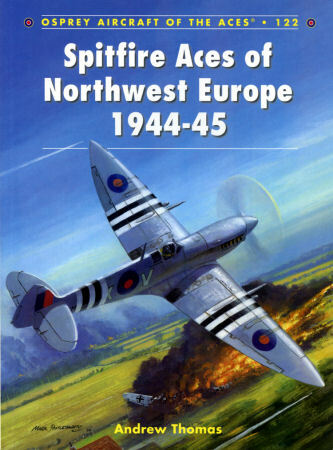 Spitfire Aces of Northwest Europe 1944-45, number 122 in Osprey’s “Aircraft of the Aces” series, offers a concise, authoritative account of Spitfire variants and pilots exploits – in particular of the 2nd Tactical Air Force (TAF) – during the last year of World War II. During that time, 35 (all but 4 were Canadian) pilots became aces flying the Merlin-engined aircraft – with another 72 increasing existing scores. Two appendices recapping credited kills neatly conclude contents. Over 70 photographs augment the action. And illustrator Chris Thomas offers modelers 36 color profiles. My sincere thanks to Osprey Publishing for this review sample!